17th MARCH 2018 ~ And I finally set foot on the summit (was that really the summit?) of the 821-metre of Penang Hill (a.k.a Bukit Bendera) - riding a tram. Basically people come here to enjoy the panoramic view and the cool, fresh air. There are other attractions, but they are not free. The latest one is called the Habitat where people could walk around on an elevated platform to enjoy a spectacular view of the surroundings but the entrance fee costs RM50 which I feel is overpriced. We even had a picnic under the tree, eating the food bought earlier at the morning market. 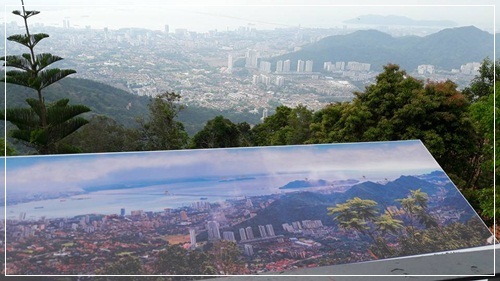 Penang Hill will be celebrating its 100th birthday in 2023 and I am sure there will more exciting things to happen. That will be definitely the best time to make a return trip there.